Accidental leak, or timed disclosure? 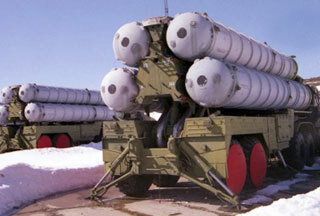 From a strategic standpoint, it doesn’t really matter, because the weapons system itself is what counts here. It caused quite a stir today when it was announced that the Russians had accidentally released some details of a proposed submersible weapons system (the Status-6, or Статус-6 in Russian) when television coverage of a conference among defense chiefs broadcast a document being held by one of the participants. This was first brought to my attention by a BBC story, Russia reveals giant nuclear torpedo in state TV ‘leak’. The BBC story led me to Russia may be planning to develop a nuclear submarine drone aimed at ‘inflicting unacceptable damage’ by Jeremy Bender, which in turn led me to Is Russia working on a massive dirty bomb? on the Russian strategic nuclear forces blog, which latter includes inks to a television news segment on Youtube, where you can see (at 1:48) the document in question. A comment on the article includes a link to a Russian language media story, Кремль признал случайным показ секретного оружия по Первому каналу и НТВ, that discusses the leak. This news story is only in its earliest stages, and there are already many conflicting accounts as to exactly what was leaked and what it means. There is also the possibility that the “leak” was intentional, and meant for public consumption, both domestic and international. There is nothing yet on Janes or Stratfor about this, both of which sources I would consider more reliable on defense than the BBC or any mainstream media outlet. There is a story on DefenseOne, Russia: We Didn’t Mean to Show Everyone Our Massive New Nuclear Torpedo, but this seems to be at least partly derivative of the BBC story. The BBC story suggested the the new Russian torpedo could carry a “dirty bomb,” or possibly a Colbalt bomb, as well as suggesting that it could carry a 100-megaton warhead. These possible warhead configurations constitute the extreme ends of the spectrum of nuclear devices. A “dirty bomb” that is merely a dirty bomb and not a nuclear warhead is a conventional explosive that scatters radioactive material. Such a device has long been a concern for anti-terrorism policy, because the worry is that it would be easier for terrorists to gain access to nuclear materials than to a nuclear weapon. Scattering radioactive elements in a large urban area would not be a weapon of mass destruction, but it has been called a “weapon of mass disruption,” as it would doubtless be attended by panic as as the 24/7 news cycle escalated the situation to apocalyptic proportions. At the other end of the scale of nuclear devices, either a cobalt bomb or a 100-megaton warhead would be considered doomsday weapons, and there are no nation-states in the world today constructing such devices. The USSR made some 50-100 MT devices, most famously the Tsar Bomba, the most powerful nuclear device ever detonated, but no longer produces these weapons and is unlikely to retain any in its stockpile. It was widely thought that these enormous weapons were intended as “counterforce” assets, as, given the technology of the time (i.e., the low level of accuracy of missiles at this time), it would have required a warhead of this size to take out a missile silo on the other side of the planet. The US never made such large weapons, but its technology was superior, so if the US was also building counterforce missiles at this time, they could have gotten by with smaller yields. 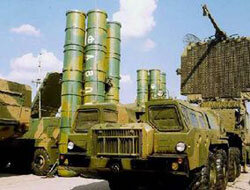 The US arsenal formerly included significant numbers of the B53, with a yield of about 9 MT, and before that the B41, with a yield of about 25 MT, but the US dismantled the last B53 in 2011 (cf. The End of a Nuclear Era). Nuclear weapons today are being miniaturized, and their delivery systems are being given precision computerized guidance systems, so the reasons for building massively destructive warheads the only purpose of which is to participate in a MAD (mutually assured destruction) scenario have disappeared (mostly). A cobalt bomb (as distinct from a dirty bomb, with which it is sometimes confused, as both a dirty bomb and a cobalt bomb can be considered radiological weapons) would be a nuclear warhead purposefully configured to maximize radioactive fallout. In the case of the element cobalt, its dispersal by a nuclear weapon would result in the radioactive isotope cobalt-60, a high intensity gamma ray emitter with a half-life of 5.26 years — remaining highly radioactive for a sufficient period of time that it would likely poison any life that survived the initial blast of the warhead. The cobalt bomb was first proposed by physicist Leó Szilárd in the spirit of a warning as to the direction that nuclear technology could take, ultimately converging upon human extinction, which became a Cold War touchstone (cf. Existential Lessons of the Cold War). The discussion of the new Russian weapon Status-6 (Статус-6) in terms of dirty bombs, cobalt bombs, and 100 MT warheads is an anachronism. If a major power were to build a new nuclear device today, they would want to develop what have been called fourth generation nuclear weapons, which is an umbrella term to cover a number of innovative nuclear technologies not systematically researched due to both the end of the Cold War and the nuclear test ban treaty. (On the Limited Nuclear Test Ban Treaty and the Comprehensive Nuclear-Test-Ban Treaty cf. The Atomic Age Turns 70) Thus this part of the story so far is probably very misleading, but the basic idea of a nuclear device on a drone submersible is what we need to pay attention to here. This is important. I am not surprised by this development, because I predicted it. In WMD: The Submersible Vector of January 2011 I suggested the possibility of placing nuclear weapons in drone submersibles, which could then be quietly infiltrated into the harbors of major port cities (or military facilities, although these would be much more difficult to infiltrate stealthily and to keep hidden), there to wait for a signal to detonate. By this method it would be possible to deprive an adversary of major cities, port, and military facilities in one fell swoop. The damage that could be inflicted by such a first strike would be just as devastating as the first strikes contemplated during the Cold War, when first strikes were conceived as a massive strike by ICBMs coming over the pole. Only now, with US air superiority so far in advance of other nation-states, it makes sense to transfer the nuclear strategic strike option to below the world’s oceans. Strategically, this is a brilliant paradigm shift, and one can see a great many possibilities for its execution and the possible counters to such a strategy. During the Cold War, the US adopted a strategic defense “triad” consisting of nuclear weapons deliverable by ground-based missiles (ICBMs), jet bombers (initially the subsonic B-52, and later supersonic bombers such as the B-1 and B-2), and submarine launched ballistic missiles (SLBMs). Later this triad was supplemented by nuclear-tipped cruise missiles, which represent the beginning of a disruptive change in nuclear strategy, away from massive bombardment to precision strikes. The Russians depended on ground-based ICBMs, of which they possessed more, but, in the earlier stages of the Cold War Russian ICBMs were rather primitive, subject to failure, and able to carry only a single warhead. As Soviet technology caught up with US technology, and the Russians were able to build reliable missile boats and MIRVs for their ICBMs, the Russians too began to converge upon a triad of strategic defense, adding supersonic bombers (the Tu-22M “Backfire” and then the Tu-160 “Blackjack”) and missile boats to their ground-based missiles. For a brief period of the late Cold War, there was a certain limited nuclear parity that roughly corresponded with détente. This rough nuclear parity was upset by political events and continuing technological changes, the latter almost always led by the US. An early US lead in computing technology once again led to a generational divide between US and Soviet technology, with the Soviet infrastructure increasingly unable to keep up with technological advances. The introduction of SDI (Strategic Defense Initiative) threatened to further destabilize nuclear parity, and which in particular was perceived to as a threat to the stability of MAD. Long after the Cold War is over, the US continues to pursue missile defense, which has been a remarkably powerful political tool, but despite several decades of greatly improved technology, cannot deliver on its promises. So SDI upset the applecart of MAD, but still cannot redeem its promissory note. This is an important detail, because the weapons system that the Russians are contemplating with Status-6 (Статус-6) can be built with contemporary technologies. Thus even if the US could extend its air superiority to space, in addition to fielding an effective missile defense system, none of this would be an adequate counter to a Russian submersible strategic weapon, except in a second strike capacity. As I noted above, there would be many ways in which to build out this submersible drone strategic capability, and many ways to counter it, which suggests the possibility of a new arms race, although this time without Russia being ideologically crippled by communism (which during the Cold War prevented the Soviet Union from achieving parity with western scientific and economic strength). A “slow” strategic capability could be constructed based something like what I described in WMD: The Submersible Vector, involving infiltration and sequestered assets, or a “fast” strategic capability closer to what was revealed in the Russian document that sparked the story about Status-6, in which the submersibles could fan out and position themselves in hours or days. Each of these strategic assets would suggest different counter measures. What we are now seeing is the familiar Cold War specter of a massive nuclear exchange displaced from our skies into the oceans. If the Russians thought of it, and I thought of it, you can be certain that all the defense think tanks of the world’s major nation-states have thought of it also, and have probably gamed some of the obvious scenarios that could result. It is time to revive the dying discipline of nuclear strategy, to dust off our old copies of Kahn’s On Thermonuclear War and On Escalation, and to once again think the unthinkable. Addendum Added Sunday 15 November 2015: In what way is a nuclear-tipped drone submersible different from a conventional nuclear torpedo? Contemporary miniaturization technology makes it possible to have a precision guided submersible that is very small — small enough that such a weapon might conceivably bury itself in the mud on the bottom of a waterway and so be impossible to detect, even to be visually by divers alerted to search for suspicious objects on the bottom (as presumably happens in military harbors). Also, the Status-6 was given a range of some 6,000 nautical miles, which means that these weapons could be released by a mothership almost anywhere in the world’s oceans, and travel from that point to their respective targets. Such weapons could be dropped from the bottom of a ship, and would not necessarily have to be delivered by submarine. Once the drones were on their way, they would be almost impossible to find because of their small size. The key vulnerability would be the need for some telecommunications signaling to the weapon. If the decision had already been made to strike, and those making the decision were sufficiently confident that they would not change their minds, such drones could be launched programmed to detonate and therefore with no need to a telecommunications link. Alternatively, drones could be launched programmed to detonate, but the detonation could be suppressed by remote command, which would be a one-time signal and not an ongoing telecommunications link to the drone. This presents obvious vulnerabilities as well — what if the detonation suppression signal were blocked? — but any weapons systems will have vulnerabilities. It would be a relatively simple matter to have the device configurable as either fail-safe or fail-deadly, with the appropriate choice made at the time of launch. Note Added Saturday 14 November 2015: Since writing the above, an article has appeared on Janes, Russian state TV footage reveals ‘oceanic multi-purpose’ torpedo-based nuclear system, by Bruce Jones, London, IHS Jane’s Defence Weekly, though it doesn’t add much in addition to what is already known. Europe is criss-crossed by natural gas pipelines, but most of the supply comes from Russia, and flows west into Western Europe. In my previous post on the violence in Ukraine, The Finlandization of Ukraine?, I discussed Zbigniew Brzezinski’s call for the Finlandization of Ukraine as a way to deescalate the political situation and to arrive at some kind of diplomatic understanding that would leave Ukraine intact. Strange though it may sound, Zbigniew Brzezinski’s hope for Ukrainian Finlandization was not all that different from Sergei Lavrov’s call for a “neutral and federal” Ukraine. Realistically, whether formulated in Brzezinski’s terms or Lavrov’s terms, the only way to prevent Ukraine from being dismembered and retaining its unity as a nation-state is to allow a great deal of autonomy so that the southern and eastern portions of the country could cultivate ties with Russia while the northern and western portions of the country could cultivate ties with Europe, while the Government in Kiev would have to step gingerly so as to avoid offending Moscow. The possibility of this solution is now probably close to nil, since the rising violence has disillusioned everyone and reduced what little trust there may have been between Russian-sympathizing Ukrainians and European-sympathizing Ukrainians. What we are seeing is not the Finlandization of Ukraine that Zbigniew Brzezinski hoped to see, because he hoped to see Ukraine remain intact; what we are seeing is not the loose federalism that Lavrov suggested would have been acceptable to Moscow; what we are seeing is the de facto division of Ukraine between regions of majority Ukrainian speakers who look toward closer relations with western Europe and majority Russian speaking regions in which the people look toward their cultural and ethnic ties with Russia. Whether the partition of Ukraine remains de facto or is eventually formalized de jure as the two halves go their separate ways, there is little that can be done in the present climate to avoid partition (which, as I argued in The Finlandization of Ukraine?, is not the disaster it is made out to be). For all practical purposes, then, Ukraine will be partitioned. But Finlandization is still relevant to the discussion, because the unwillingness of European governments to take a strong stand against Russia — they talk the talk, but they don’t walk the walk — reveals that those nation-states that will not be partitioned as a result of Russia’s resurgence many be forced into conciliating the Russian steamroller — i.e., Europe itself already finds itself forced into a gradual Finlandization as it scurries to show its support for Ukraine while not taking any action that would result in Russian using its fossil fuel levers to make Europe pay a real price for “supporting” Ukraine. Although the western press has contended to see who can be the most vociferous in the condemnation of Putin for Russia’s actions in Ukraine, Putin is not doing anything surprising or unprecedented, as I attempted to explain in The Putin Doctrine. Putin has opportunistically expanded Russia’s influence in Eurasia, but he has not attempted to exert control on the ground in any region where the population is hostile to Russia. In other words, and despite the near-hysteria in the press, we aren’t going to see a Russian invasion of the Baltic states or Poland. These peoples have made it clear that they do not want to be part of Russia, and under contemporary parameters of geopolitical force projection, it would be nearly impossible for Russia to establish a security regime in these regions. Similarly, it would be nearly impossible for Russia to establish a security regime in the northwest of Ukraine where the people are unsympathetic to Russia. But southern and Eastern Ukraine are another matter entirely. Where the Russians can use a sympathetic population as a foot in the door for geopolitical expansionism — whether in Transnistria, Abkhazia, South Ossetia, or Crimea — Russia will do so. This long and slow development of a de facto set of conventions limiting force projection was one of the parallel threads of the Cold War that was simply not noticed because it was mired in the Cold War dyad, but the anti-colonial struggles under the dyad of superpower competition set the stage for this development, and once the Cold War ended this thread could become a dominant narrative (even if unrecognized as such) in the post-Cold War world. The unspoken convention to limit the use of force both reinforces and is enforced by the devolution of war as this developed from the global Cold War competition to countless local struggles, each unique rooted in the history of the region, and having little or no connection to a global narrative. There are several contributing factors that have led to the contemporary parameters of geopolitical force projection. One of these factors has been the revolutionary, anti-colonial, and asymmetrical conflicts waged since the end of the Second World War. Asymmetrical conflicts in which poorly equipped, poorly funded guerrilla forces have humiliated much larger and better equipped forces has been the “proof of concept” of asymmetrical efficacy. Peoples all over the world, by reading the news and watching television, have been made pervasively aware that a guerrilla force that can move among a people like fish in the sea (as Mao put it), can exact unacceptably high costs on traditional military forces, especially when these forces attempt to occupy any geography with a hostile population. In order to establish a security regime on the ground, any occupying force needs the cooperation of at least the majority of the peoples who live in the region, and even, given the ability of an armed minority to exercise a “violence veto” on any peace settlement, in some cases a robust consensus is required. Peoples have to accept the need for order and stability. If the majority of the population rejects the authority of a political power that seeks to establish a security regime on the ground by projecting force into a geographical region, it is nearly impossible to assert political authority in the region with the contemporary parameters of geopolitical force projection. The level of direct physical force that is necessary to establish order and stability among a population that rejects the force seeking to impose order and stability would exceed the threshold of atrocity, meaning that the world’s attention would be fixed on the particular conflict, and the fact of the world’s attention being focused would change both the perception and the reality of the conflict, lowering the threshold of atrocity and making it all the more difficult to enforce a security regime on an unwilling people. The attempt to enforce order in the teeth of opposition and publicity is possible, but it would constitute a war of extermination, and wars of extermination are so far beyond the threshold of atrocity that even the most supine political regimes in the international system would be prodded into action. Putin is not about to cross the threshold of atrocity, much less to pursue a war of extermination in southern or eastern Ukraine — or anywhere else. Russia will confine itself to the most civilized forms of economic warfare when it comes to its relations with Europe, and Europe will have to decide whether the conflict in Ukraine is, “a quarrel in a far-away country between people of whom we know nothing,” or whether Europe is prepared to sacrifice on behalf of Ukraine. In the unlikely event that Russia cuts off natural gas supplies to western Europe — and it is much more likely to reduce supplies, raise prices, and demand pre-payment, as it has done with Ukraine — the European economy would take a major hit. Probably the European Union economy would contract for several successive quarters, if not for several successive years (if, again, the unlikely event of Russia cutting off natural gas could be maintained year on year, which is even more unlikely). The European economy would not “collapse,” though it would have a few bad years. Efforts to shift to renewable resources would be accelerated, importation of Norwegian natural gas would increase, and other sources of fuel and opportunities for conservation would be found. All of this would be painful, but it would also ultimately be a stimulus to the economies of the Eurozone. As noted above, the extreme scenario of a complete cutoff of Russian gas is unlikely, but it is survivable. Less extreme scenarios of raised prices and reduced supplies would also be painful for Europe, but less catastrophic in effect, and would give the European economies an opportunity to shift their procurement of energy supplies from Russia to other sources under less drastic conditions. But it is the fear of economic pain — economic contraction, recession, unemployment, budget deficits, social unrest — that is enough in itself to dissuade the Europeans, and especially the Germans, from taking a hard line with Putin’s Russia. Russia has already made this calculation, and who can fault them for making it? If the Europeans can be brought into line with the implicit threat of a few years of discomfort, this is a relatively cheap way for Russia to expand its geostrategic scope. Even in this climate of avoiding confrontation with Russia, that is to say, in the climate of the Finlandization of Europe, we will see increased efforts in Europe to shift away from dependence upon Russian natural gas, but the more gradual and extended the transition, the more people are likely to forget the Ukrainian crisis and to once again look favorably upon Russian natural gas. The more that alternative supplies and sources are found, the price of Russian natural gas will drop as demand drops, and there will be a great temptation to become reliant of Russian natural gas once again. This is the virtue of a forced, rapid, and uncomfortable transition from dependence: the shift is decisive, and few are likely to forget the cause of it. Russian President Putin holds hand of German Chancellor Merkel. It has been the custom of strategic thinkers to make explicit the underlying strategic doctrine implicit in the actions of political leaders, formulating this strategic doctrine in summaries that encapsulate the principles of power projection employed by the leaders in question. Those of us in the Western world usually speak in terms of strategic doctrines promulgated by American presidents (with their strategic doctrines eponymously named), since presidents dominate the “big picture” strategic vision of the US, which is the superpower among western powers. Yet the same thinking applies to other political leaders beyond the US. Many Cold War analysts spoke of a Brezhnev Doctrine; I previously formulated a Stalin Doctrine. Today I want to go further by identifying a Putin Doctrine that is implicit in Russia’s contemporary use of power projection. ● Clinton Doctrine “It’s easy… to say that we really have no interests in who lives in this or that valley in Bosnia, or who owns a strip of brushland in the Horn of Africa, or some piece of parched earth by the Jordan River. But the true measure of our interests lies not in how small or distant these places are, or in whether we have trouble pronouncing their names. The question we must ask is, what are the consequences to our security of letting conflicts fester and spread. We cannot, indeed, we should not, do everything or be everywhere. But where our values and our interests are at stake, and where we can make a difference, we must be prepared to do so.” (cf. Clinton Doctrine) The Clinton doctrine is most famously associated with the commitment of armed force for the purpose of humanitarian intervention. There are many other strategic doctrines, of course. The most famous strategic doctrines in US history were the Monroe Doctrine and the Truman Doctrine, which date from earlier eras and no longer address the global circumstances of contemporary power projection. Moreover, it would be argued that the more recent (American) strategic doctrines cited above are all variations on the theme of the post-VietNam Weinberger Doctrine, that is to say, the US coming to terms not only with being a superpower, but also coming to terms with the limitations of power projection that even superpowers must observe. Strategic doctrine may be contrasted to tactical doctrine. When the military speaks of “doctrine” they usually mean “tactical doctrine,” which is the body of principles and practices for the use of men and materiel in the theater of combat. Similarly, strategic doctrine may be characterized as the body of principles and practices, though governing political entities (today, primarily nation-states, their leaders, and their populations) and their use of power projection, not limited to the detailed directives for soldiers and the weapons they carry. In Political Constraints on Weapons Systems I wrote that, “A weapons system is an embodied tactical doctrine.” I should have offered a slightly more nuanced formulation by incorporating the distinction between the tactical and the strategic, thus: “A tactical weapons system is an embodied tactical doctrine; a strategic weapons system is an embodied strategic doctrine.” When the strategic situation changes, or the technology of weapons systems changes, strategic doctrine is forced to evolve. The massive nuclear arsenals of the US and the USSR of the Cold War were the embodiment of the strategic doctrine of mutually assured destruction (MAD). Now that we are at the end of a nuclear era, and have seen all over the world the devolution of warfare from massive peer confrontation to dispersed, asymmetrical conflicts, the kind of strategic doctrines that ruled the Cold War are increasingly less relevant. The many strategic doctrines summarized above represent a kind of strategic experimentation as world leaders seek to find a formula for the use of power projection that is effective but which is also carefully calibrated not to escalate to a nuclear confrontation. In the post-Cold War world, with the rise of China as a global power and the (partial) recovery of Russia, strategic doctrines are in flux. As of this writing, the current situation in Ukraine provides an occasion to witness the practical implementation of strategic doctrine in a region of Eurasia that finds itself (and has always found itself) uncomfortably wedged between Europe and Russia. Since the end of the Cold War, Ukraine has sought to establish itself as an independent nation-state, which has meant distancing itself from Russia, with which it was formerly joined as a Soviet Socialist Republic. But Ukraine is an ethnically and culturally divided nation-state, with a northwest of Ukrainian-speaking, European-identifying people, and a southeast of Russian-speaking, Russian-identifying peoples. Such divisions were submerged during the Cold War, but have since returned with a vengeance (some have called this “the return of history”). The conflict within Ukraine came to a head once in the Orange Revolution, but the Russian-identifying Viktor Yanukovych steered Ukraine back toward a Russian orbit (jailing his rival Yulia Tymoshenko in the process), and now the conflict has come to a head again. Street protests in Kiev led to the ouster of Yanukovych, who fled to Russia; a new government has been installed in Kiev, but Russian sentiment remains strong in the southeast, and strongest in the Crimean Peninsula. Crimea is technically an autonomous republic within Ukraine, but now Russia has moved significant military forces into Crimea, with strong support from the local population, over the protests of western leaders. The ability of anti-government protesters in Kiev to take the initiative and to seize power in the capital was a function of their identification with the majority Ukrainian-speaking, European-identifying people of the region. These peoples seek to tie their destiny to that of Europe. This demographic reality cuts both ways: the ability of Russia to assert control over the Crimea is a function of Russian forces’ and their local proxies’ identification with the majority of Russian-speaking, culturally Russian-identifying people of the region. These peoples, by contrast, seek to tie their destiny to that of Russia. 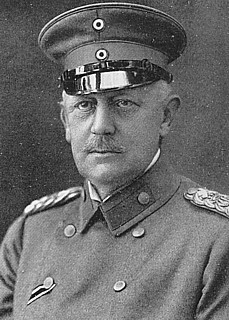 In response to Putin’s commitment of Russian troops to the Crimea, Swedish Foreign Minister Carl Bildt tweeted, “On the centenary of 1914, we are suddenly in a Europe of invasion, aggression and threats of massive use of military force.” Previously in The Idea and Destiny of Europe I cited Bildt’s opinion piece, Europe’s Crisis in Ukraine. Bildt is a very level-headed statesman, and from the tone of his reaction we can judge more generally of the Western response to Russia’s entry into Crimea. ● Putin Doctrine Peoples in Russia’s near abroad who desire to be brought under the Russian security umbrella (whether Russian-identifying peoples, or Russian sympathizers) will be given Russian military assistance in secession from a nation-state to the extent that this secession results in a geographical region in which effective political control can be exercised by the seceding peoples, with Russian assistance. Priority is given to geographical regions immediately contiguous with the Russian border, and de facto rule is the object, rather than formal recognition of sovereignty by the international community. The practical corollary of the Putin Doctrine is that Russia will project power in its near abroad where it has the cooperation of the peoples in these regions. This it has already done many times. A few analysts have compared the situation in Ukraine with the war in Georgia a few years ago, with the qualification that Georgia is much smaller. But the comparison is just. Georgia — another former Soviet Socialist Republic, and the homeland of Stalin — has been to a considerable extent dismembered by Putin’s Russia as the world has looked on. 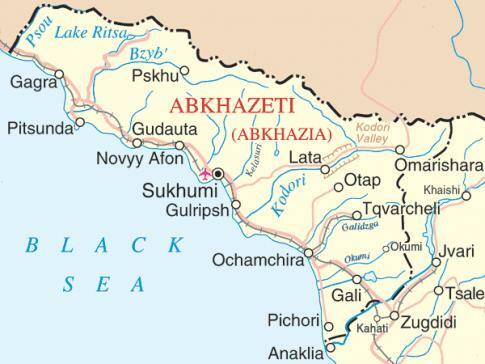 Abkhazia is legally a part of Georgia but it able to assert its independence because Russia is more than happy to have a stick to poke in Georgia’s eye. In Deep Battle and the Culture of War I discussed the Russian presence in Abkhazia, a breakaway region of Georgia. 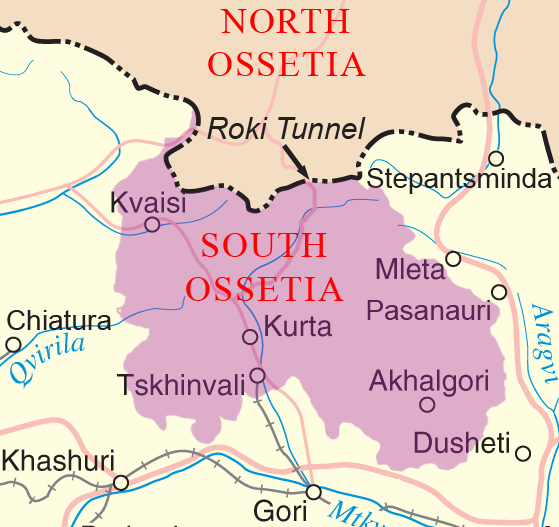 Georgia has also been forced to accept a Russian-dominated South Ossetia. Technically, as far as the international state system is concerned, Georgia is a geographically contiguous nation-state that wholly includes Abkhazia and South Ossetia; in fact, Abkhazia and South Ossetia have been brought under the Russian security umbrella; there is nothing Georgia can do about this, and nothing that the rest of the world is willing to do about this. There were already intimations of the Putin Doctrine with the conflicts over Transnistria, a narrow region between the River Dniester and the eastern Moldovan border, the peoples of which did not wish to separate themselves from the Soviet Union, as was the desire in most of Moldova. After almost a quarter century, Transnistria is not a recognized nation-state, but it enjoys de facto sovereignty under the eyes of 1,200 Russian soliders. Putin’s authority in Russia could be said to embody the degree of autocracy that is possible for a global power at the present time; he does not rule as an absolute autocrat, and he must be consciousness not only of the opinion of his people, but also the opinion of the international community. Putin’s power projection thus has limits, but his observance of the opinions and demands of others also has limits. It would have been entirely unsustainable — both politically and militarily — for Russia to invade the whole of Ukraine and to reinstall Yanukovych as president in Kiev. Everyone knows this. But Crimea is another matter entirely. Crimea mostly wants the Russians there, and the Russians want to be there, not least to protect the port of the Black Sea Fleet at Sevastopol. There will be a western response to Putin’s adventure in Crimea, but it will be a tepid response. Neither the EU, nor the US, nor both together as NATO, are going to send forces into Crimea and attempt to dislodge the Russians. Again, everyone knows this. Moreover, Putin’s carefully calibrated and measured violations of Ukrainian state sovereignty are so modest that any sanctions enacted are not likely to be very effective or far-reaching. Already several European countries have announced that there would be no major interruptions in trade with Russia. That is to say, even before sanctions have been enacted, it is widely acknowledged that any sanctions will be merely symbolic. Crimea is about to become another frozen conflict, and very little is likely to change in substance (though appearances may shift radically from day to day). The first jet-powered fighters and bombers became operational before the end of the Second World War. Under the pressure of war, the Germans developed the ME-262 fighter jet and the Arado Ar 234 bomber, while the British developed the Gloster Meteor fighter. The Germans adopted a more elegant and efficient engine design (an axial flow turbojet, in contrast to a centrifugal compressor), but the design required components that were at the very limits of the materials and manufacturing technology of the time. Some of these early jet engines had a service life of only 25-50 hours. 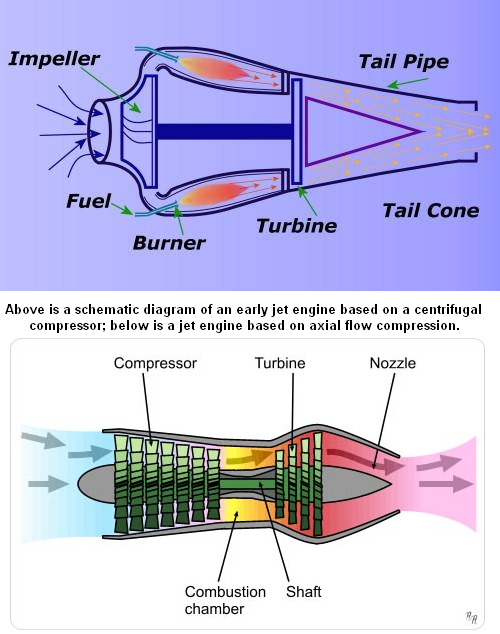 The early British jet engines with a centrifugal compressor had a longer service life as the engine components were not subject to operating temperatures as high as that of axial flow engines. The technology to design and produce cutting-edge fighter jet engines continues to this day to limit the ambitions of air forces and the industrial concerns that produce their jets. In a special Aerospace supplement to today’s Financial Times, a detailed article by Kathrin Hille, China: Doing it all yourself has its drawbacks, discusses China’s military aviation ambitions, which include not only the now well-known J-20 stealth fighter in development, but also a lighter weight stealth fighter, the J-60. Experts cited in the article emphasize that at least ten years of trials and testing were required for the F-22 to be put in the service, and still today the F-22 has problems. The less experienced Chinese air force will experience at least comparable development horizons for its fifth generation fighter. When one thinks of the public perception of the relative industrial plant of China and the Ukraine, one would not think that China needs to go to the Ukraine to purchase its most advanced jet engines, but this is the case in fact. The whole of China’s industrial plant is not yet capable of producing the materials and manufacturing technology necessary to the production of the kind of engine needed for the fifth generation stealth fighter (or even its training aircraft), and without the engine the jet is an empty shell. In the long term I don’t think that there is any question that China will be able to tool its industrial plant up to the quality necessary to produce the engines that its jets require, but the fact that it is not yet at that level points both to the achievement of Soviet bloc manufacturing centers during the Cold War, as well as the extent to which China was more or less completely left out of the Cold War competition that drove military technological advances in the second half of the twentieth century. Russian-based industrial concerns are continuing to refine and improve the capacities they acquired during the Cold War, even if they lack the funds and the ambition to participate on the same level as China in global military arms procurement. Of course, the Russians are developing the Sukhoi PAK-FA in cooperation with India, and this is certainly a global player in the fifth generation fighter competition, but I think that there is an accurate sense that Russia simply does not possess a sufficiently robust economy to follow up on its technological skills. It can produce the PAK-FA, but its ability to afford several squadrons seems questionable at best, whereas there isn’t much question that China can afford several fifth generation squadrons, but it doesn’t quite yet have the expertise to produce them on an exclusively domestic basis. This gives the Russians a certain power over China in the short term, even if the Russians choose not to use this lever. In fact, the Russians might well like the idea of a fifth generation fighter arms race between the US and China, because this occupies the US and leaves less strategic attention left over to focus on Russia’s near abroad. In the short term, again, the Russians may see it in their interest to facilitate Chinese military aviation ambitions, though it is unlikely that the Russians will see this as a long term strategic interest. The Russians and the Chinese share a fairly long border, and even during the Cold War when the East was supposedly monolithically Red, they went to war over that border (cf. Sino-Soviet border conflict). This happened during my lifetime, and I am sure that it has not been forgotten either in China or Russia. That being said, former rivals sometimes become the best of allies, as was the case with NATO. While I do not think that this is at all likely, it is possible that the SCO could come to play a role in uniting former rivals and enemies in the face of the perception of a greater threat (presumptive US dominance over East Asian affairs). Again, I do not think that this is at all likely, but it would certainly be strategically interesting if the SCO replaced NATO as the central strategic entity in the coming century. Since NATO no longer has a mission after the end of the Cold War, and the Western powers are essentially casting about either for a replacement role for NATO or for some alternative institution to give strategic focus and direction to Western interests, there is a kind of strategic void in the world today (and consequent strategic drift). In the West, we assume that this void will eventually be filled with a Western institution, but this is not necessarily the case. The SCO is an non-Western institution that could, in theory, fill this void. An exhibit from the dustbin of history: the Warsaw Pact once faced down NATO in western Europe; now it is no more. The SCO powers — Russia, China, Khazakstan, Tajikistan, and Uzbekistan — have thrown themselves a party in Astana, Kazakhstan, celebrating ten years of the organization. All of this seems eminently reasonable to me, since the Western powers have a never-ending round of self-celebrations that virtually fill the calendar like medieval feasts on saints days: various NATO exercises, the G20, the Davos Koffeeklatsch, the secretive Bilderburg get-together, and who knows how many others. Now with Russia and China joined by the SCO, the east really is red, from top to toe. All of this — i.e., the SCO’s self-celebration — is presented in the most politically reasonable terms imaginable. Just as NATO presents itself as the guarantor of security in the North Atlantic, so SCO presents itself as the guarantor of security in Eurasia, with a special focus on Central Asia. It is to be noted that several of the ‘Stans of Central Asia are full members of the SCO. History repeats itself: while SCO nation-states now make up the bulk of the Eurasian landmass, again the 'business end' of the alliance comprises the cluster of smaller nation-states facing rivals and adversaries. Even the military exercises that accompanied the SCO summit, and which have now become an annual event, are presented in terms that are unexceptional and anything but belligerent. The military exercises are called “Peace Mission” followed by the year of the exercise, as in “Peace Mission 2010” and “Peace Mission 2011,” and so one. The rhetoric of the exercises is that of counter-terrorism, which fits in neatly the the “Three Evil Forces” mentioned above, since terrorism is one of these evils. The 'Stans of Central Asia include the nation-states of, Afghanistan, Kazakhstan, Kyrgyzstan, Pakistan, Tajikistan, Turkmenistan, Uzbekistan, as well as numerous non-state regions. I found a particularly fascinating article on the recent SCO summit called The smart power of the SCO, dated 15 June 2011, which appears under the name of Nursultan Nazarbayev, none other than the President of Kazakhstan. Now, I don’t suppose that Nazarbayev actually wrote this (it was probably authored by one of his flunkies), but it is a nice piece for all that it encapsulates, and it is lent additional interest by fact that Kazakhstan simultaneously held the chairs both of the SCO and the OSCE. (This article is billed as having originally appeared in The Moscow Times, though I found it in the Russia and India Report). This article was interesting both for its tone — perfectly evoking the “peaceful rise” theory of China’s growing influence — and for the comprehensiveness of its message, which touches on almost every theme that nervous Western think tanks have highlighted in relation to the SCO. The very rhetoric of the title — “smart power” — is precisely the sort of thing we would expect to hear from Western political leaders (in fact, it sounds a lot like “smart sanctions” and Joseph Nye’s “soft power”). Nazarbayev (or his ghost writer) discusses counter-terrorism efforts, combating religious extremism (with the enlightened rhetoric of fighting, “the fundamental causes of radicalism and terrorism and not its consequences”), combating the global narcotics trade, and a possible role for the SCO in Afghanistan. Regarding the latter, Nazarbayev writes, “the prosperity of Central Asia and the surrounding states can only be achieved through a strong, independent and stable Afghanistan.” Who can disagree with that? And who is to say that the SCO would not be more successful at such “nation-building” in Afghanistan than NATO? Well, I see now that authoritarian regimes can give themselves the requisite ideological content, and in doing so in a sophisticated fashion (we are not, here, talking ham-handed Soviet-era propaganda) they present themselves as nothing more exceptional than stand-up citizens of the international community, interested in a law-and-order approach to the global situation. As mentioned above, the chosen theme of the SCO ten year anniversary summit and the “Peace Mission 2011” exercises is combating “Three Evil Forces,” which forces are terrorism, separatism, and extremism. Russia and China certainly have much to fear from these three evil forces. Both are geographically extensive land empires with restive minority populations that have little or no desire to be a part of the great project that is modern Russia or modern China. Despite the many advantages that flow from being part of an extensive politico-economic whole, many peoples, as recent history has shown, prefer to go it on their own rather than to enjoy the benefits of life under the benevolent tyranny of Putin or the Communist Party of China. The Three Evil Forces that the SCO powers seek to suppress and combat are precisely those forces that would precipitate, and perhaps eventually consolidate, the fracture of these large nation-states (Kazakhstan is also very large, and for that reason probably includes peoples who have no interest in making common cause with the Kazakhs) into some rump entity ethnic-cultural entity sans its former extensive territorial holdings. Back in the day when corporations were under more stringent rules against market dominance, if a large, successful company had deep pockets and wanted to expand, it bought whatever companies were available. And so a conglomerate might have companies that manufacture toasters, sell raspberry jam, own a department store or two (but not too many), and maybe also have some textile interests in hosiery and men’s wear, with the occasional timber mill thrown into the mix. There was no talk of “core competencies” or focusing on what you do best, but, as opposed to the ideal acquisition, this was the possible acquisition (parallel to what I recently wrote about The Possible War). It is this spirit of putting things together simply for the sake of “bigger is better” that is the spirit of the nation-state, and that is why nation-states are all about boundaries, territorial integrity, and the territorial principle in law. As with conglomerates, so too (mutatis mutandis) with the nation-state: a combination of two or more ethnicities engaged in entirely different histories that fall under one state structure. The various southern Slav peoples of whom Churchill said they produce more history than they can consume, tried it for a while, but eventually decided that it wasn’t for them. The Czechs and the Slovaks tried it for awhile also, and they managed to part company on amiable terms, without bloodshed, as has been the remarkable custom of these peoples. But despite the many failures of the nation-state, and the record of peoples voluntarily contracting nation-state relationships and voluntarily leaving them, in contemporary political “science” the nation-state holds unquestioned sway, such that anything other than the nation-state is regarded as an intrinsically suspect and perhaps perverse form of political order. The nation-state today faces the terrorism of non-state entities as its great challenge. During the Cold War there was no consensus among nation-states as to who was and who was not a terrorist. It was the Cold War that gave us the slogan, “One man’s terrorist is another man’s freedom fighter,” and this slogan was invoked (whether explicitly or implicitly) on both sides of the ideological divide that defined Cold War politicking. Yasser Arafat compared himself to George Washington (in his 1974 speech to the UN General Assembly), while Reagan compared the Nicaraguan Contras to the Founding Fathers (“the moral equivalent of our Founding Fathers” was the quote). This relativity of terrorism is less true now. NATO and SCO would probably agree on who is and who is not a terrorism much if not most of the time. In fact, NATO and SCO could agree on a good deal more than this. They are both interest groups of nation-states, tasked with the security of these nation-states. Such organizations are not going to call the nation-state into question. And so NATO and SCO have much in common in Afghanistan: they both want, “a strong, independent and stable Afghanistan.” So we should not be surprised to eventually, some day, see cooperation between NATO and SCO in attempting to shore up some kind of order and stability in Afghanistan. Yet this apparent convergence of interests in the post-Cold War world is deception, however deep the shared loyalty to the security and continuity of the existing nation-states seems to run. Russia and China actively and routinely engage in the political and sometimes military repression of restive minorities. Both Russia and China routinely object to any violation of sovereignty or territorial integrity, since they are keenly aware that any such recognition of the legitimacy of opposing brutal and repressive regimes will open them to the same criticisms. China is not about to let its Uighers go their own way, any more than Russia is going to let Chechnya or Dagestan go their own way. These peoples, by and large, do not feel themselves to be full partners in the nation-states of which they are constituent parts, but they are also well aware that Russia and China have the military wherewithal to force their continued inclusion as part of the nation-state in question. Moreover, while the Western powers are occasional sympathetic to the national aspiration of minorities in Russia, China, and Central Asia generally, it is rarely more than a lukewarm sympathy, because there is always the bias toward order, stability, continuity, and “the devil you know” being assumed to be better than some unknown evil. The fear is that if revolutions are “allowed” to occur, that widespread collapse of legitimate authority would lead to widespread terrorism, drug trafficking, human trafficking, and criminal enterprises. That these perennial problems might be as much caused by the nation-states as plaguing the nation-states is a thought too radical to be entertained either at NATO or the SCO. And so the SCO members present themselves as international advocates of law and order, actively combating the “Three Evil Forces” of terrorism, separatism, and extremism, all the while knowing full well that extremism radicalizes, and that radicalized ethnic minorities will engage in terrorism in an attempt to secure the separate and equal station to which they believe nature and nature’s god to entitle them.